MUNICH: Germany midfielder Toni Kroos has criticised former World Cup-winning teammate Mesut Ozil for the way he announced his international retirement over racism claims and said the Arsenal player spoke ‘nonsense’. The 29-year-old Ozil announced his international retirement in July after Germany crashed out of the World Cup group stage in Russia. He said he had faced “racism and disrespect” because of his Turkish roots. “Basically Mesut is a deserved international and as a player, he deserved a better departure,” Kroos told Bild newspaper in an interview published on Thursday. Ozil was a key member of Germany´s World Cup-winning side in 2014 and was voted by fans as the team´s player of the year five times since 2011. But the creative midfielder faced a barrage of criticism at home for having his photograph taken with Turkish President Tayyip Erdogan in May and for his performances at the World Cup in Russia. In his resignation statement last month, Ozil also accused the German Football Association of failing to back him in the row over the photo. German fans jeered him and Ilkay Gundogan, a teammate also of Turkish descent who posed with Erdogan as well, during World Cup warmup games in May. “The parts in his statement that are rightly addressed are unfortunately overshadowed by the significantly higher amount of nonsense,” Kroos said. 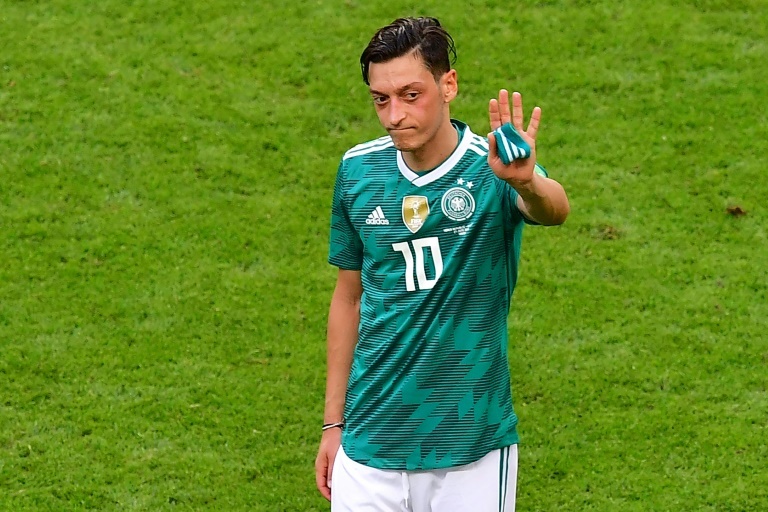 Germany failed to qualify from the World Cup group stage in Russia, making their earliest exit from the tournament in 80 years and Ozil was one of the scapegoats for their unsuccessful title defence. “In the eyes of (German FA President Reinhard) Grindel and his supporters I am German when we win, but I am an immigrant when we lose,” Ozil wrote in his statement. The 28-year-old Kroos, who has won the last three Champions League titles with Real Madrid, said he had no plans to follow Ozil into international retirement after their World Cup flop. “I will continue towards Euro 2020 and have set myself the goal of being far more successful there than in the recent past,” Kroos said.